The aroma of decaying leaves is upon us, with it the oaks bear their fruit and pumpkins abound. In the ol' Celtic tradition this was a time of harvest and closure as their year ended. Here in the west the yearly Halloween is now evident in suburban yards decorated with a plethora of surreal imagery married with traditional scenes of harvest. The Witch, my favorite of the archetypes, is celebrated this time of year. Generally I get a little triggered by the one dimensional, incomplete manner which she is portrayed. 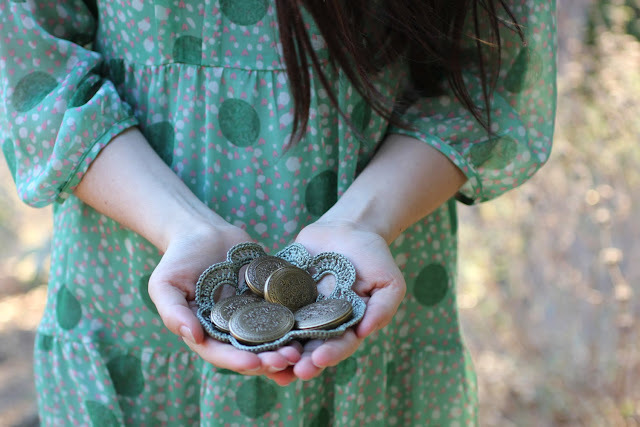 Caroline Myss and Clarissa Pinkola Estes shed a much more dynamic perspective that is tied in with the Goddess. It is the the aspect of the crone of the triple Goddess that we honor at this crossroads. She is wise and powerful and often challenges as a means to encourage our own growth and awareness. Hekate embodies this archtype as the Goddess of the Night and the Wild Places. She guards the gate between the worlds. During Samhein, All Hallows Eve, at twilight is when the veils between the worlds are at their thinnest and meeting Hekate is most auspicious. Mugwort is an herb associated with both the dreamtime and the crone. In both aromatherapy and botanical perfume essential oil of mugwort needs to be used with mindfulness and a light hand. Consider making an infusion with the dried herb into oil. 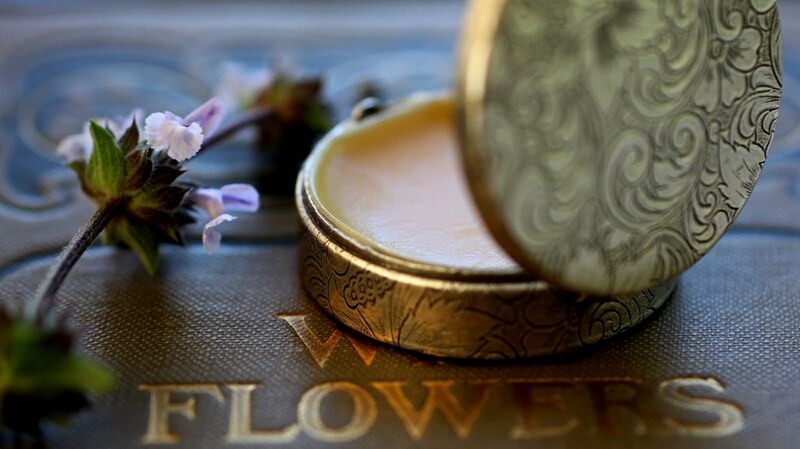 The oil can then be utilized as the base for a perfume oil or for solid perfume. Clary sage is known as clear eye based on the usage of the seeds to clear eye sight. The essential oil has properties associated with facilitating a vivid dream state and providing clarity. 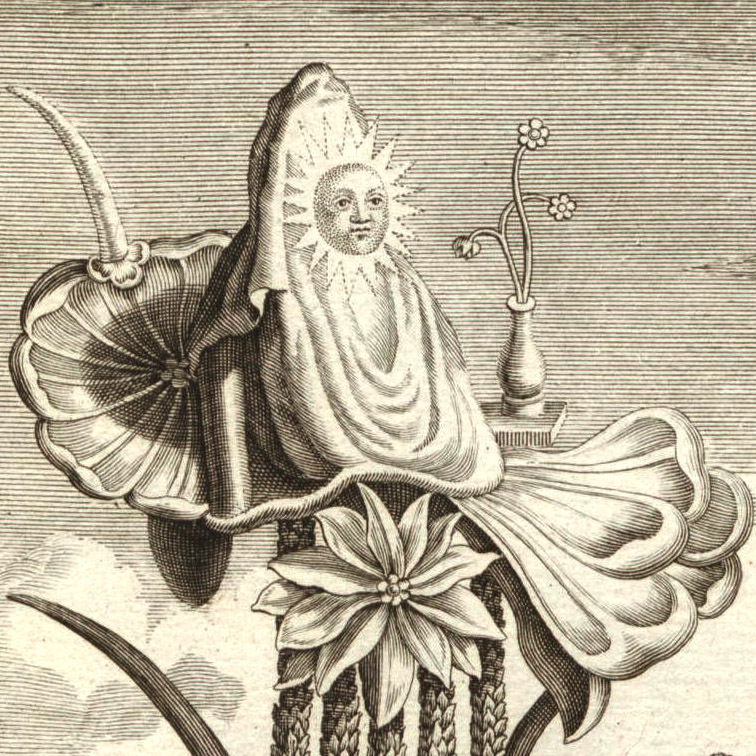 Some use clary sage in composing Ambergris accords for botanical perfumery. Other associated herbs according to The Wicca Garden by Gerina Dunwich are Dittany in equal parts to Benzoin, Sandalwood, Vanilla. Harry at Alchemy Works has a ready made potion titled Herbal Flying Oil available. I'll leave you with a featurette from the Golden Compass titled Flying Witches with my favorite character Serrafina Pekkala. 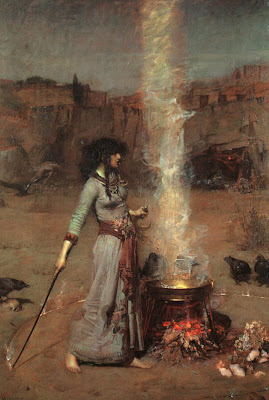 Image: The Magic Circle by John Waterhouse. I knew you would appreciate this one. See you out in the astral. Its good that you shared this flying potion. I enjoyed reading will certainly visit your site more often now.